We have been very quiet on the blog for the last few weeks. Not intentionally, there just doesn't seem to be any time to do all the things we love. 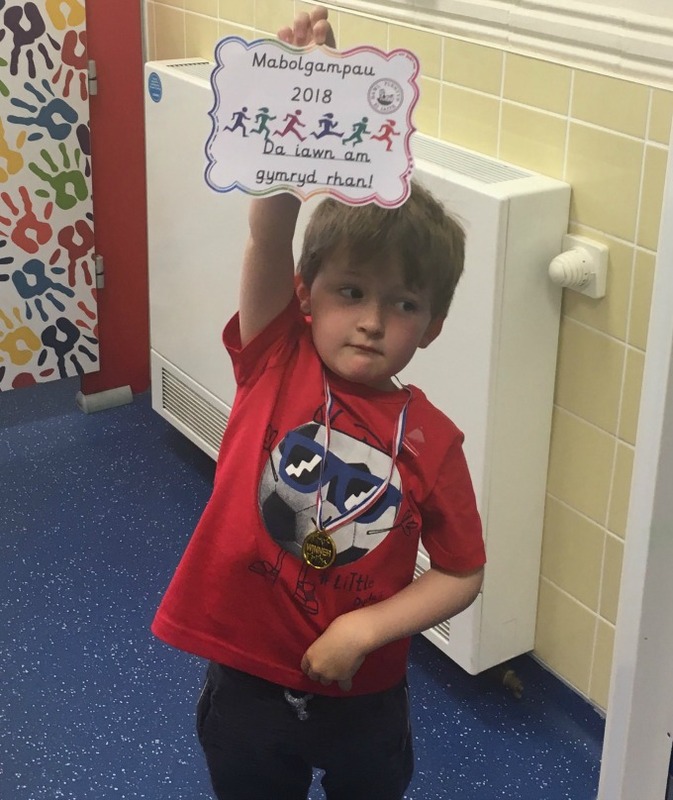 Bear has two days left at pre-school and goes to nursery in the big school in September, he had his very first sports day a couple of weeks ago and came second in his race. We were expecting tears as Bear is very competitive and hates to lose at anything, but he was an angel, he said quite philosophically, "I did my best, Nanny" and no one can ask for more than that. Bee is growing every day. He is an absolute darling. I have never seen such a happy, content baby. He is weaning using the baby led weaning method, and this really suits him. He absolutely loves his food and is now quite adept at feeding himself. He still needs practice with his spoon and fork but he's an expert with his hands. It's such a shame he has multiple allergies; dairy, eggs, soya, white fish, but we are hoping he will grow out of them eventually. Bee can stand just resting a hip or his bottom on something but hasn't taken that magical first step yet (he's eleven months). He has also started saying a couple of words. He also likes to point and grunt, we think he wants us to tell us what everything is so that's what we do. I would like to post more often on the blog, and to do that some may be short and just quick updates. 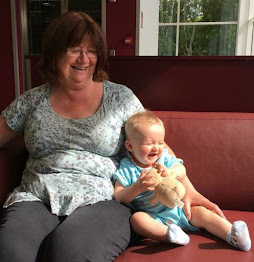 I started this blog to record Bear growing up, I'd like to do the same for Bee and looking after two during the week doesn't leave me with a lot of time. How parents manage when they have them all day, everyday I have no idea! 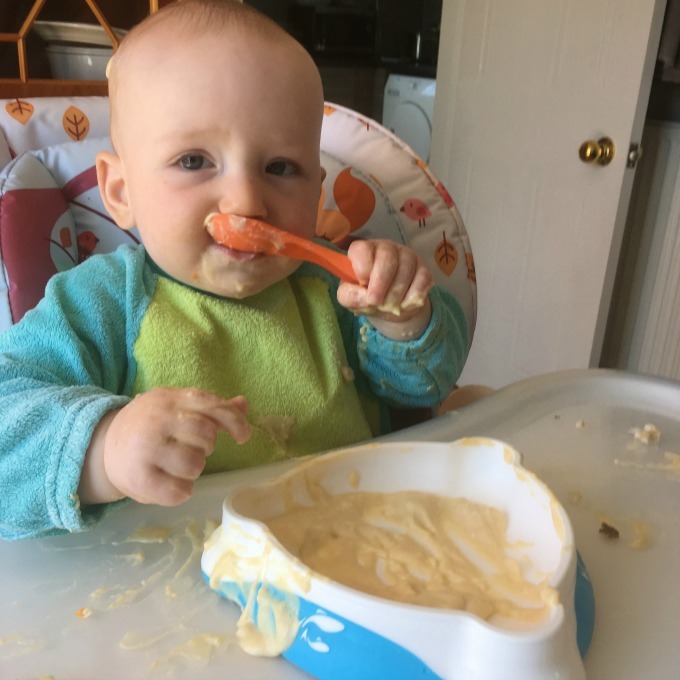 If you are keen on baby led weaning I have a couple of posts on the way that may help beginners get started, I am no way an expert, just going to share a few tips that I have picked up along the way. Grandad and I have been visiting North Wales and were taken with how beautiful the area is, and how friendly everyone is. It was also great to hear Welsh spoken everywhere, it would be great for Bear as he tells me Welsh is just for school! I thought about you the other day, that I hadn't seen you blogging much.